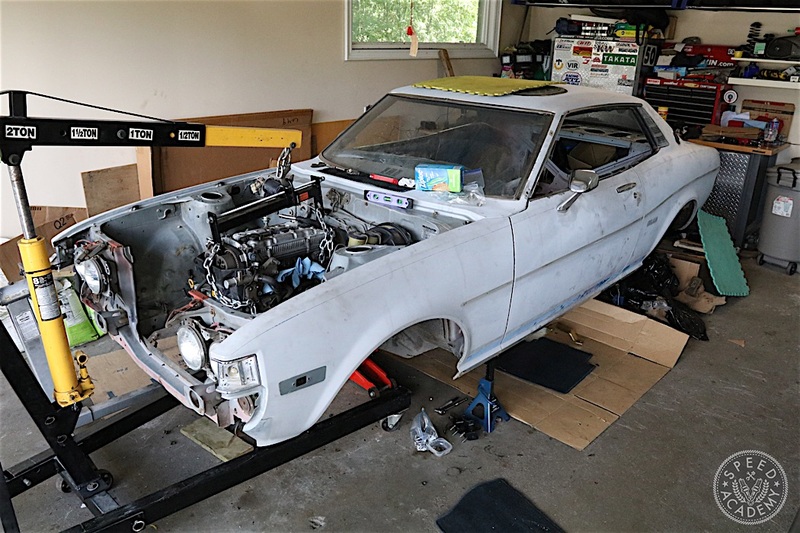 If you haven’t been following our RA24 1977 Toyota Celica project on our YouTube channel, we’ve covered the acquisition and teardown in a fair bit of detail, but this is the first step in its reconstruction as a track-oriented but street-legal fun-machine with a more modern powertrain and running gear. I wouldn’t call it a resto mod or a pro-touring build, since neither really capture what I’m going for with the Celica. It’s simply a car I’m nostalgic about since my grandma owned one when I was a kid, plus I just think they’re super cool looking and send power to the driftier end of the car. 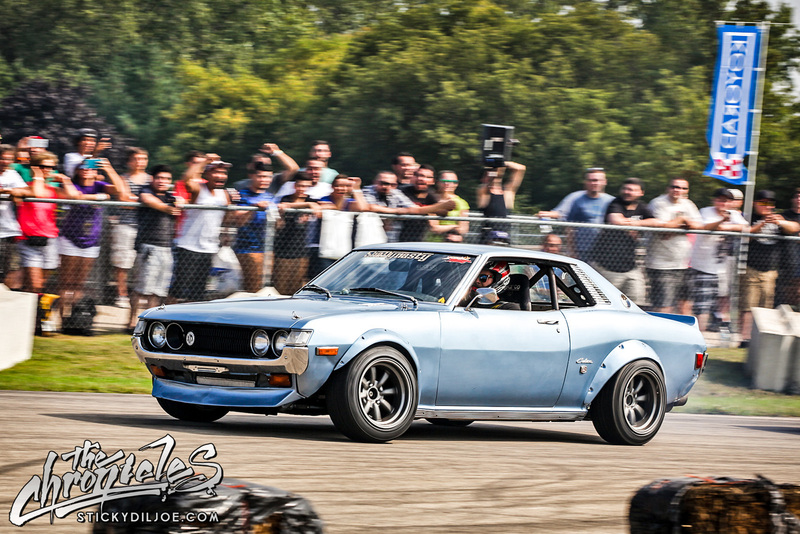 Matt Panic’s ShaDynasty RA21 early first gen Celica is a big inspiration, though I’ll be setting mine up for grip (but will do a little drifting in it too). 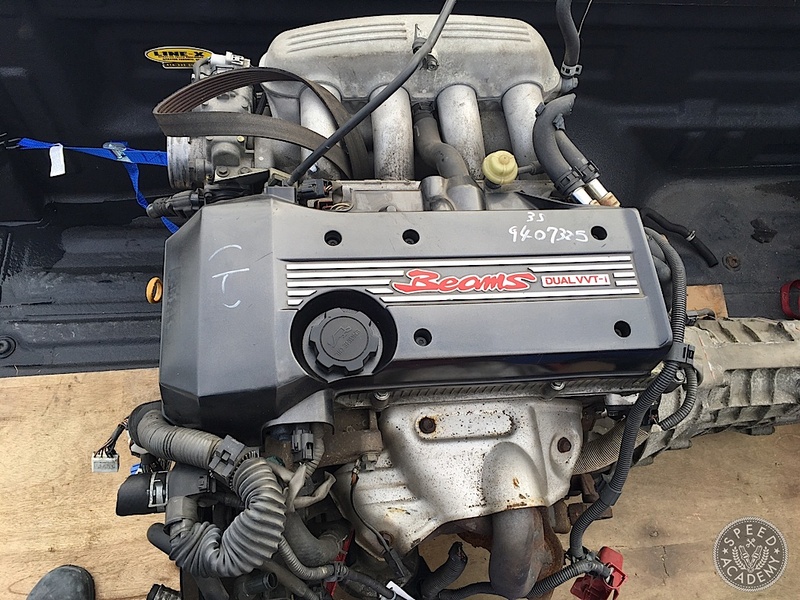 I’m obviously not a purist given what we do here at Speed Academy, so it should come as no surprise that my plan from the very get-go was to ditch the old 22R engine in favor of a more modern and more powerful option. 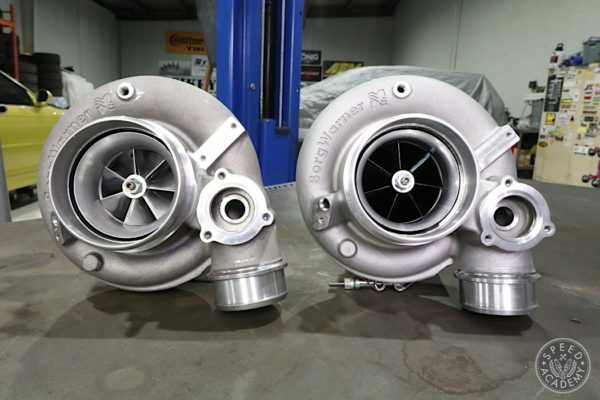 Originally I was thinking a turbo 1JZ, but I’ve always loved the simplicity and throttle response of a high-revving naturally aspirated engine and fell in love with the idea of a Beams 3SGE Blacktop swap. 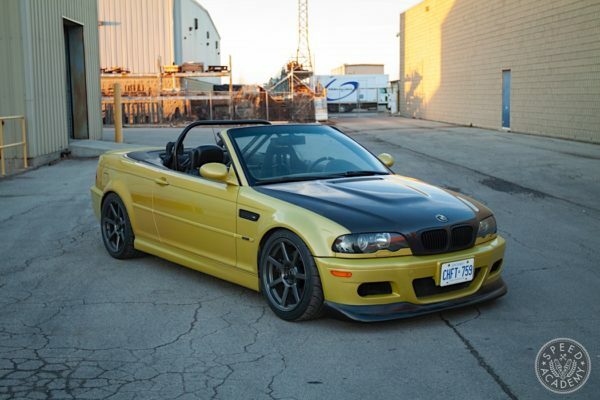 After a bit of an online search, Pete and I headed to one of the many JDM importers in the greater Toronto area and picked up Beamsy, a complete 3SGE Blacktop with the J160 6-speed transmission. 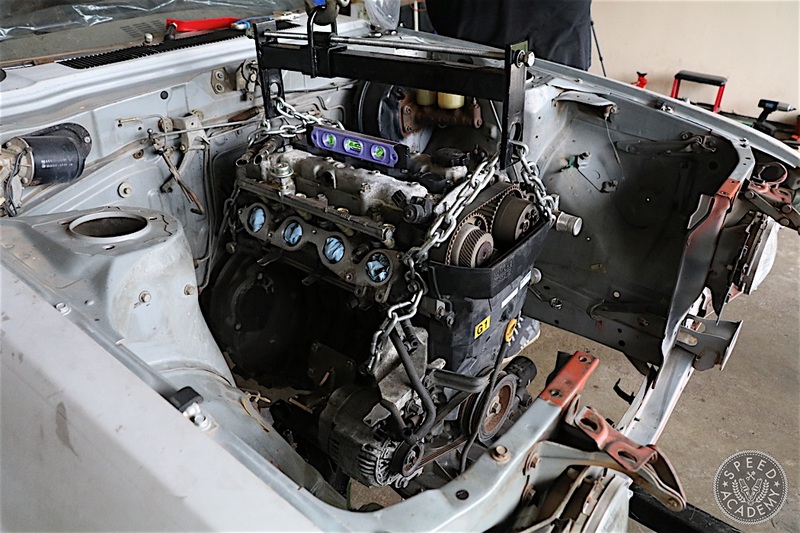 For a tour of the JDM shop, we picked the engine up from as well as a quick compression test on the motor, check out the video above. Having already researched this swap into 1st gen Celicas, I knew that by using an AE86 front cross member, which bolts up to the Celica’s frame rails by redrilling the bolt holes on the cross member, I could use Xcessive Manufacturing’s engine mount brackets designed specifically to mount the 3SGE into the AE chassis. So I grabbed an AE86 cross member from our homeboys at Cyrious Garageworks and had it stripped and powder coated by Stripping Technologies in Cambridge, Ontario. Check out the video above for that whole process. Having worked with Xcessive Manufacturing before on Ken’s RX-7 (they make a super nice cast aluminum lower intake manifold for the 13B rotary engine as well as engine mounts and some other goodies), I spoke to Rich at Xcessive about the Celica project and it turns out he’d just developed some Celica specific engine mount brackets for the Beams 3SGE, so we got an early set of those that position the engine at the right height for good ground and tunnel clearance and a few inches off the firewall for optimal weight distribution while still giving easy access to transmission bolts and the back of the engine. 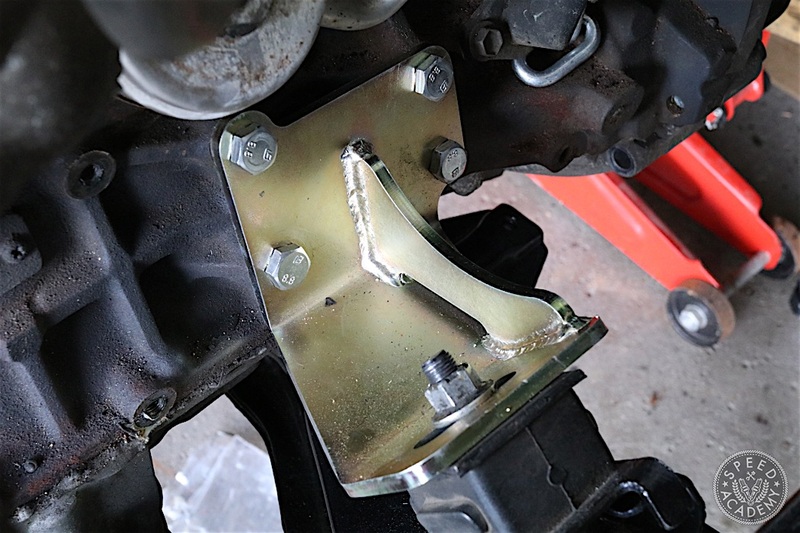 As you can see, these engine brackets feature super heavy duty 1/4″ thick metal construction and have a zinc plating to prevent rust. 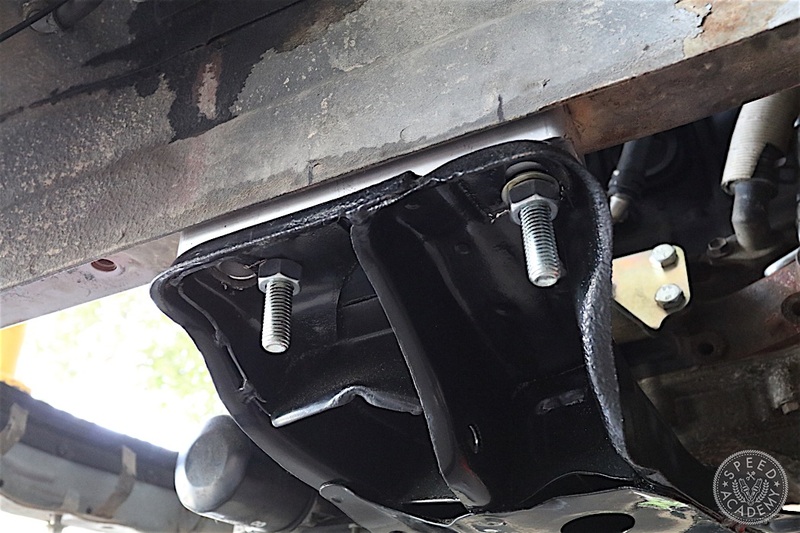 Plus Xcessive provides new bolts for the brackets to attach to the engine block. 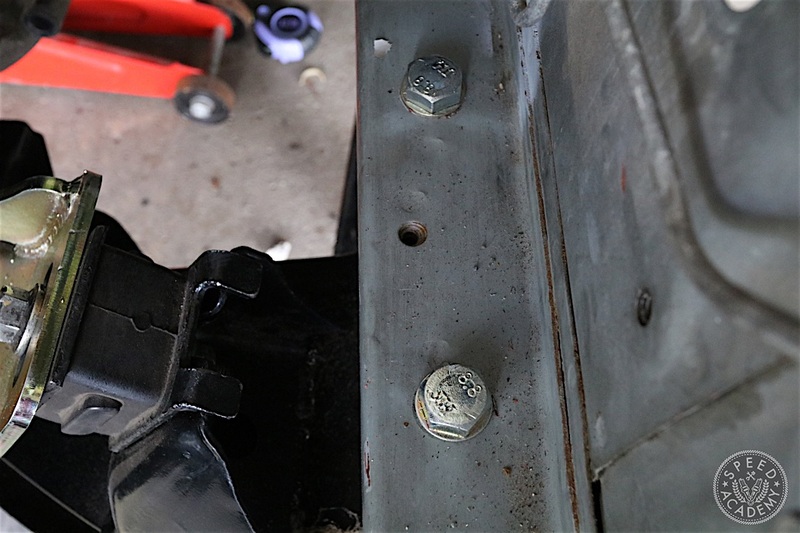 The bolt holes for the cross member and the engine mounts (you can either use stock AE86 mounts or aftermarket AE86 mounts with these brackets, including Xcessive’s mounts) are slotted, so you’ve got some wiggle room to move the engine up and forward/aft in the bay. We used an old set of Megan mounts that Pat from Cyrious Garageworks gave us, but we’ll be upgrading to some new Xcessive mounts before we call the job complete. 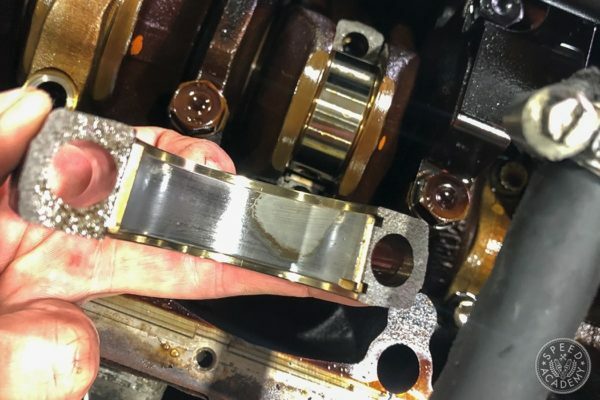 We opted to use Xcessive’s 1″ thick aluminum cross member spacer to lower the subframe and thus the engine and trans by that amount. 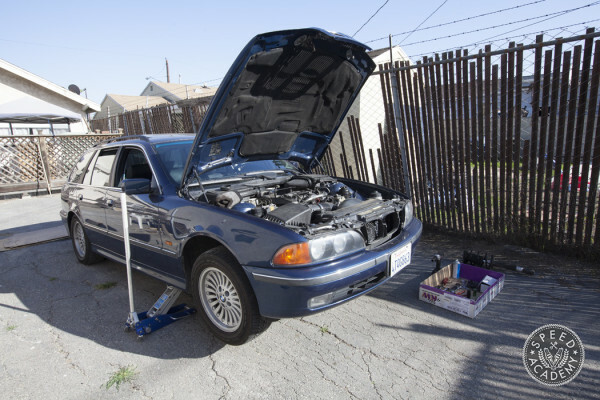 Again, Xcessive provides automotive grade bolts, nuts, and washers with the spacers. This gives us good hood clearance and tunnel clearance for the transmission, without upsetting suspension geometry too much. 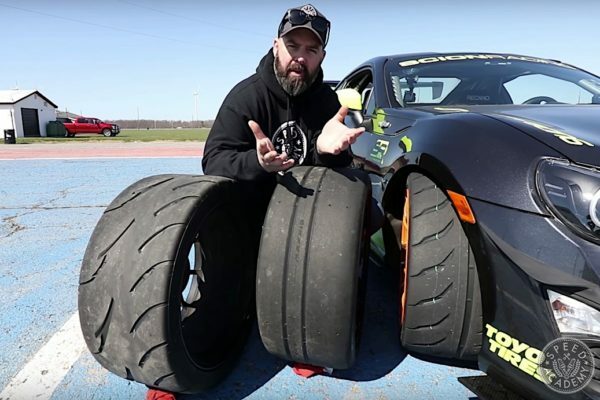 Plus, as you’ll see in future stories and videos, we’ve got fully adjustable coilovers, suspension arms and roll center adjusters going on the front end, so we’ll have no trouble sorting out the handling. 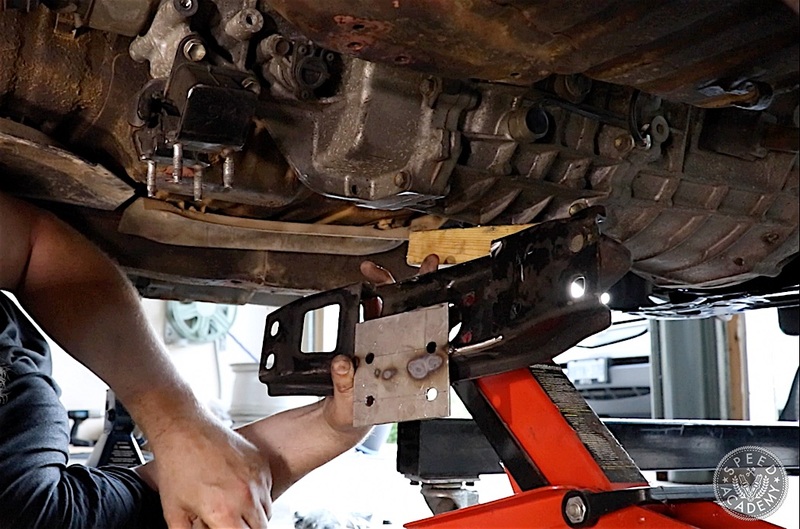 As you’ll see in the video above, we used the AE86 spacers with slightly different bolt hole spacing than our RA24 Celica frame rails have, but Xcessive has since released 1st gen Celica spacers that do away with the need to redrill them. 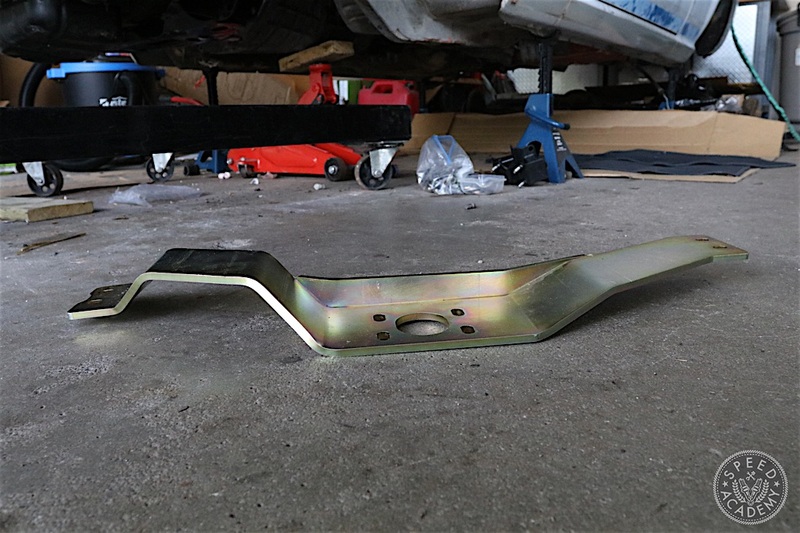 For the transmission crossmember, Xcessive sent us this beautifully formed 1/4” thick zinc coated masterpiece, having designed it on Matt Panic’s Beams powered early first generation Celica. 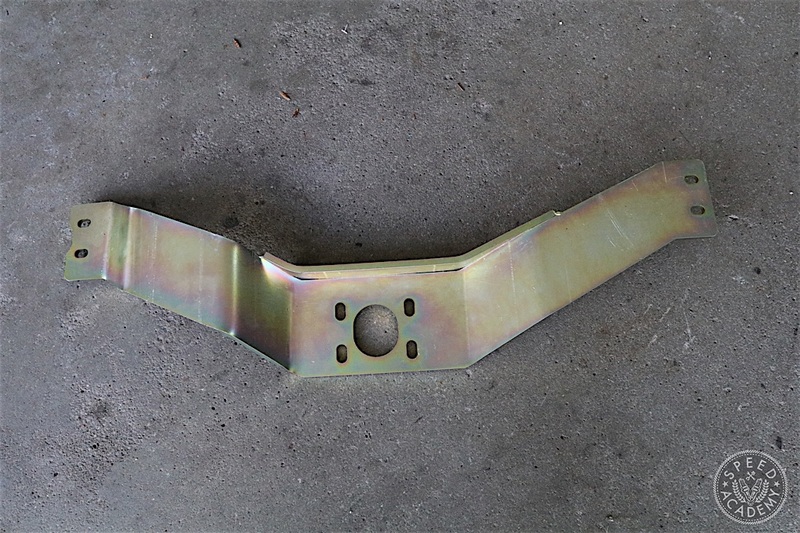 This is designed to be used with the J160 6-speed transmission that comes with the Beams 3SGE, but it turns out that early first gen Celicas, sometimes called Series 1 or Slantnose, have a completely different center tunnel and trans crossmember mounting locations than the late 1st gen (Series 2 or Flatnose) Celicas like mine have. So, unfortunately, we couldn’t use this piece, but as you’ll see in an upcoming video we modified the OE trans crossmember and sent if off to Xcessive so they could fabricate us a Series 2 crossmember and make that part available to other Series 2 owners like us. You’re welcome, Flatnose Beams swappers! 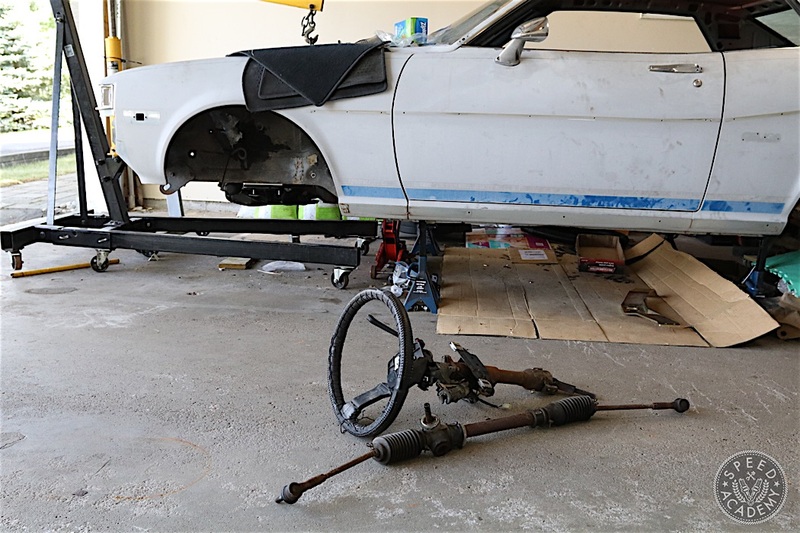 While we wait on that custom trans crossmember from Xcessive, in Part 2 we’ll show you how we mount and sort out the rack & pinion steering system out of an AW11 Toyota MR2 (which we believe is the same as the manual rack and steering out of a AE86). Fun times ahead! Into a 1st Gen Celica: Part 1"
This article is very helpful to people who are curious about this setup.It’s a really good piece of documentation. Hello there! I am planning on doing the same swap on my RA24, and I was wondering if you can give me some advice on the custom engine wiring harness you are planning on using. I appreciate it! Thanks ! @RA24Celi we’ll be buying one from Panic Wire (http://panicwire.com). The Panic bros have done a bunch of Beams swaps into old school Toyotas including Matt’s Celica referenced in the story above, so they have the wiring completely figured out and offer harnesses in a bunch of different configurations and levels of badassness depending on your budget and needs. Hi Dave, any update on this project? Really interested to see what you guys have done so far. Have a good one! Hi Dave. I recently purchased a ’77 Celica GT Coupe and am working towards a restoration. I am in need of some parts and pieces. 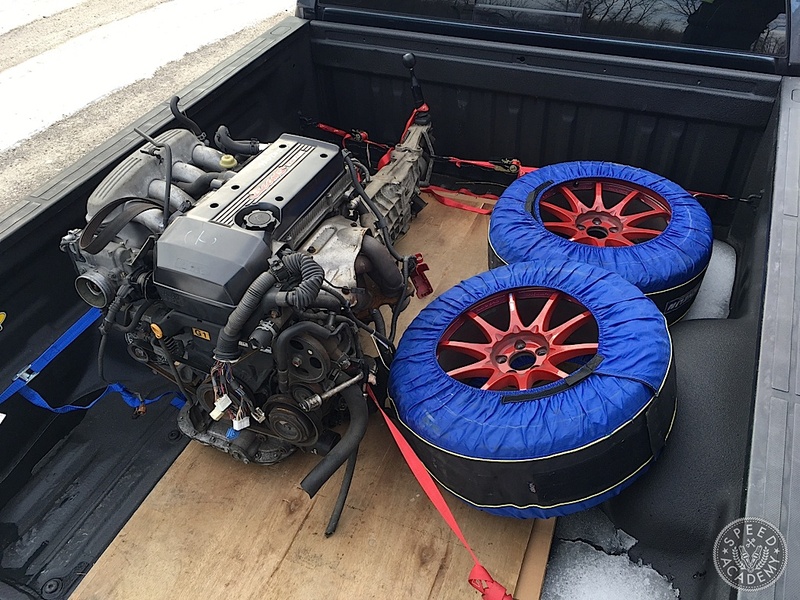 I have kept up with your build and like the direction you are headed with your own Celica. I love the videos. I am wondering what you have planned for the pieces you are not going to use in your build as I may have a use for them. Thanks for your time. Here is a bit of inspiration for your build. Love this series on your channel. I am Boofighter on YouTube as well. Boofighter love it! I’m having a hard time not turning mine into a full blown race car, but I would like to be able to enjoy it on the street too. By any chance can you later post the parts you used to built everything? IanRaudales sure can! We’ll do a complete build list once the car’s running. The foam core stays. It’s an integral part of the splitter’s strength. 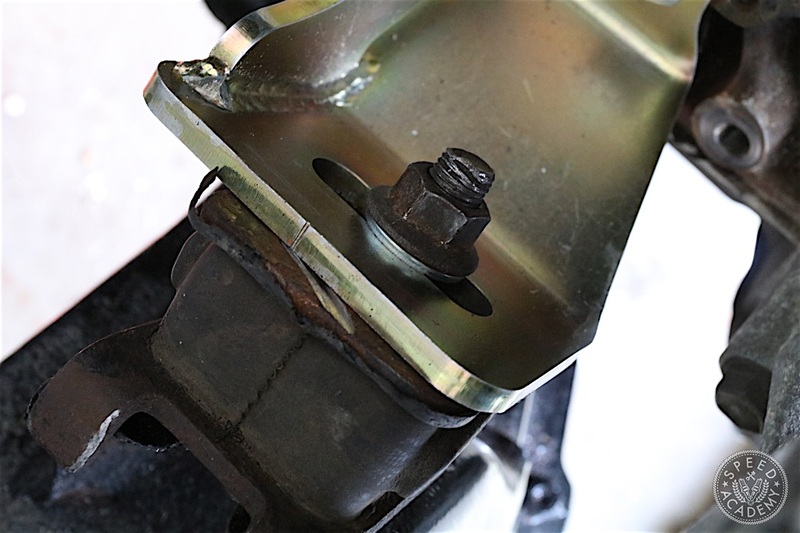 Awesome info you guys shared on the 77 celica, I am also doing a Beams blacktop swap into my 75 corolla sr5 coupe, my subframe is a bit different in my te37 than the 77 celica, I am.running into the issue of clearance near front sump where my front sway bar crosses, I purchased the ae** engine mounts from excessive as well, they look to drop right on to crossmember, question is, are there any other clearance issues I will run across besides the shifter location and height? Also, the engine mounts that were EOM for the 3se were sadly lacking. Have to keep replacing them. Are the mounts mentioned above any better? Would they fit? 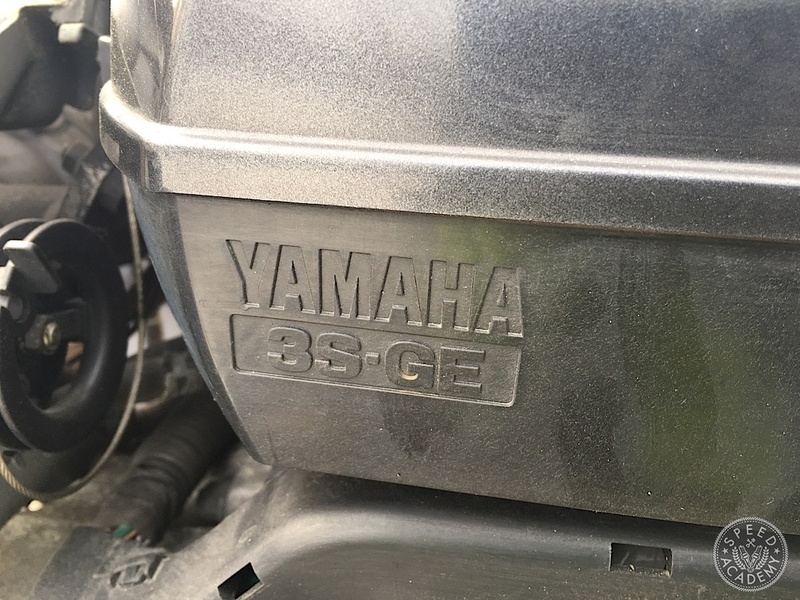 My mistake, the 2se engine mounts were sadly lacking.